Business card designer software is capable to design variety of business cards using advanced image designing objects and barcode settings. 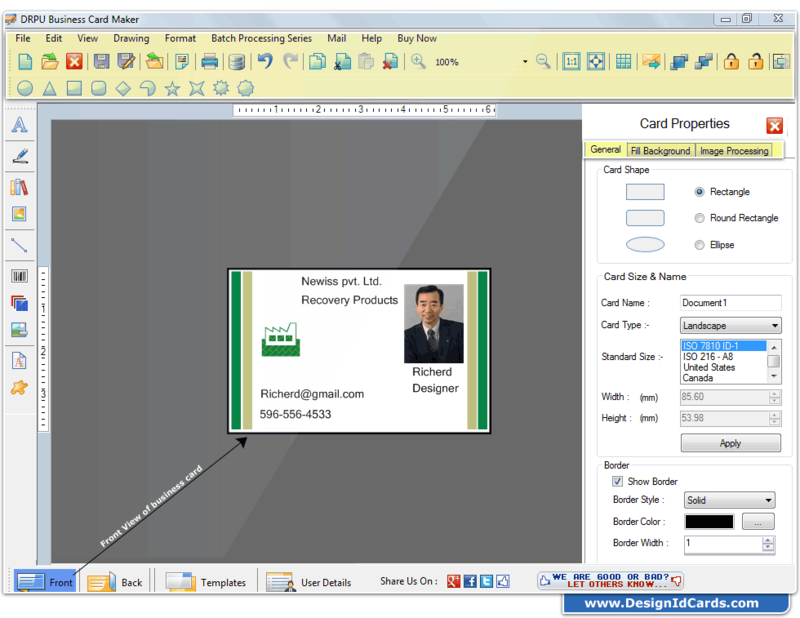 Business Card Maker program uses different type of image designing objects including Line, Rectangle, Text, Star, Triangle, Barcode, WordArt for creating professional business card along with an option to Insert Picture from Library or browse photo saved in the PC. Software has feature to add barcode, image, watermark, and symbols on business cards. Using email settings feature you can send designed business cards at specified email IDs. Provides flexible print settings feature to print created single or multiple business cards. Generate multiple business cards using batch processing feature of DRPU business card maker software. Save designed business card log on PC for future reference (modifications or use as it is to print cards again). Software provides facility to browse or draw signature to add signature on business cards. Start new business card format or edit existing business card format. Design and create business cards using image designing tools including Line, Rectangle, Text, Barcode, Picture, Triangle and Star objects. Option to create business cards with specific type of fold. Add WordArt text-styling feature to the business card. Create business card using wizard or with blank format. Design and create business card in Rectangle, Rounded Rectangle or Ellipse label shape. 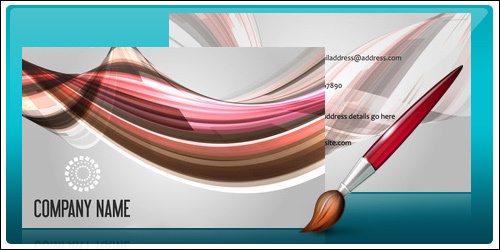 Provides facility to specify the color and background settings of business card. Generate multiple copies of business cards with different barcode and text value.